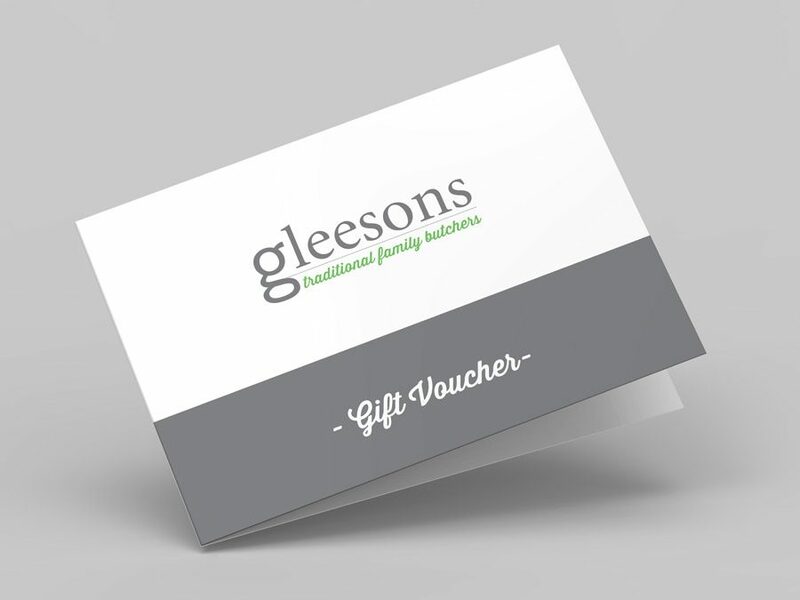 Gift Vouchers are the perfect surprise for any occasion. Why not treat your friend, family member, colleague or club member to a delicious dinner they can have at home any time they like! They can choose from our range of premium steaks, delicious roasts, Sunday morning breakfast, our protein range, children’s party products, any of our meals freshly prepared instore everyday or even their Christmas dinner! The vouchers can be used to purchase any products across our delicious range in any of our shops. The usual terms and conditions for vouchers apply and we’ll post it out to you within 1 working day of you ordering, or select a shop to pickup from when checking out. This voucher can be used to purchase any of our products in any of our Gleesons branches but it cannot be exchanged for cash.